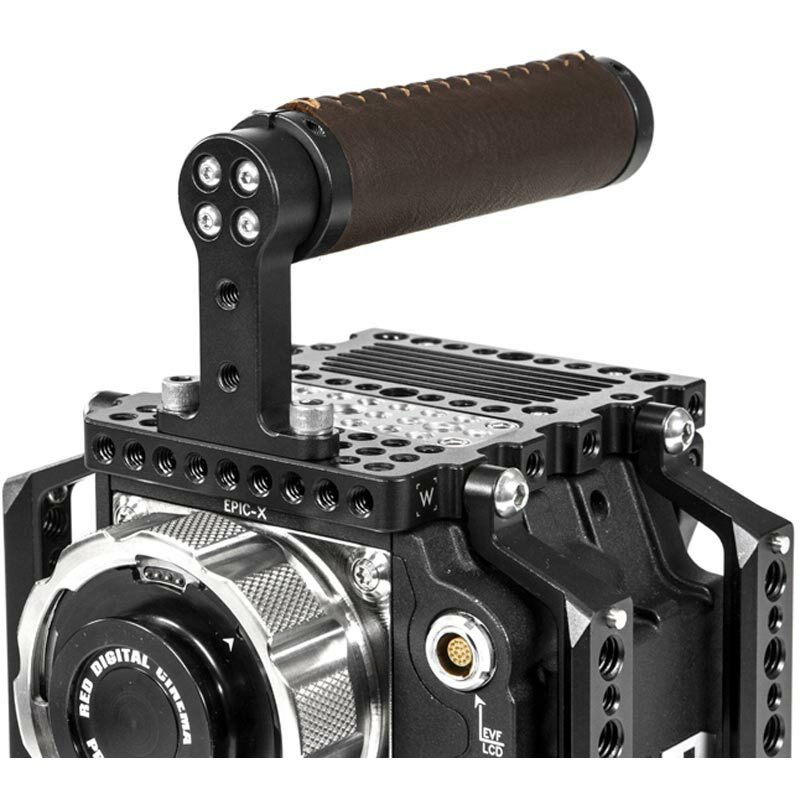 Bolts on for secure camera carrying. 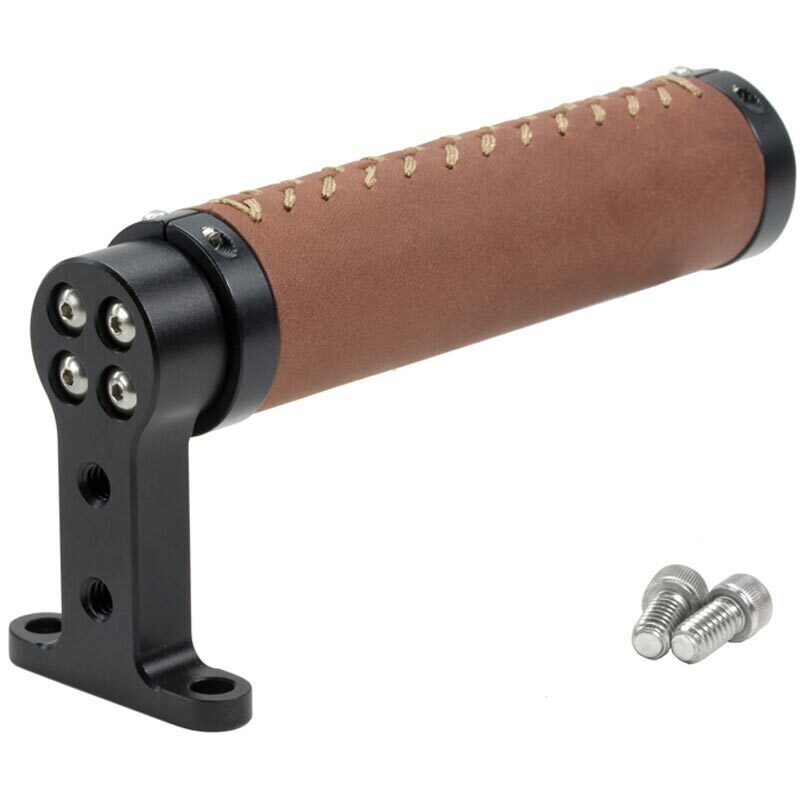 Real leather grip with 1/4-20 mounting points in front for accessory mounting. Handle Adapter can be added to attach the Top Handle to any two non-standard screw spacings up to 36mm apart center to center. Handle Riser can be added to raise the height of the Top Handle.